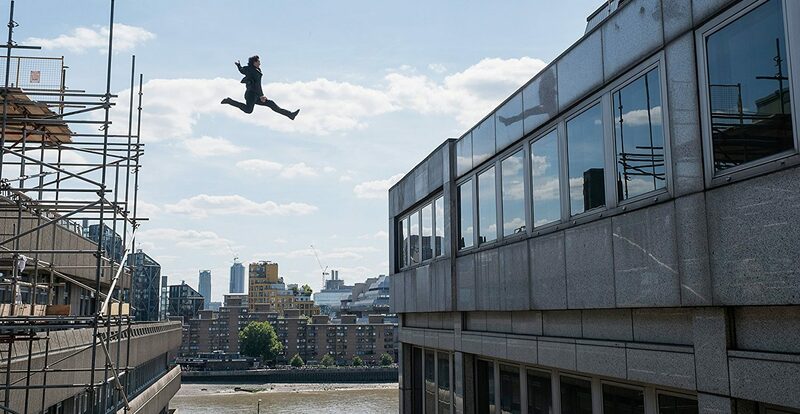 One of the best action films of the 21st Century and perhaps one of the greatest ever made, Mission: Impossible – Fallout improves and elaborates on the most entertaining franchise sprinting around today. We’ve come to learn that these missions aren’t really impossible. The good guys will win, the bad guys will meet their maker, another unthinkable task will come their way. These films have always had a familiar formula. But what sets M:I-6 apart is its candid, often internalized emotion. 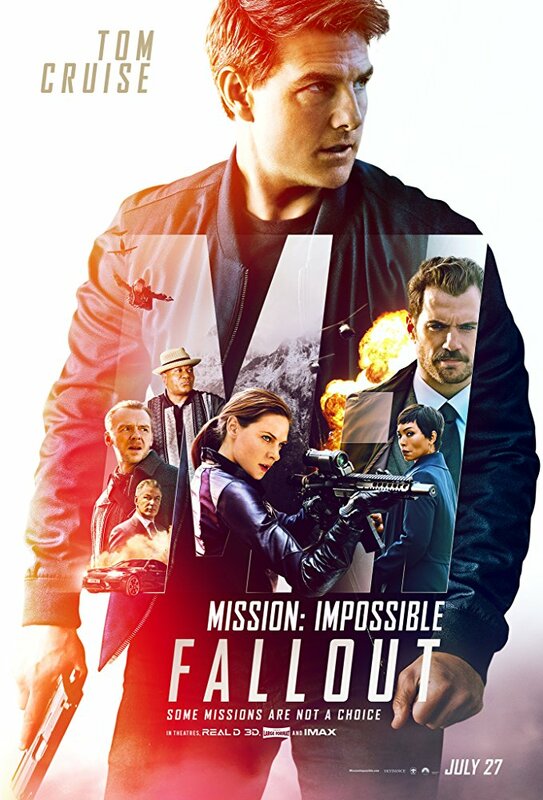 I’ve never seen a Mission: Impossible film that left me bored. Nor have I, at least until now, seen one that felt so dramatically rich. Summer blockbusters hardly get any better than this. While most of the movies work well enough as standalone additions to this evolving and ever-changing canon, M:I-6 is the first entry that really builds on old events with intent (entirely because, for the first time, the previous director got to come back for more). 2015’s Rogue Nation found Ethan Hunt (Tom Cruise) and his rag-tag team unsurprisingly victorious. They apprehended Solomon Lane (Sean Harris), leader of the lawless turncoats known as “The Syndicate,” an anarchist looking to assemble worldwide peace through innumerable deaths and catastrophe. Now the stakes are higher, the set pieces bigger, and the emotional core deeper. Mission: Impossible has never been afraid of heights, yet here we actually get to look down and see how far our friends might fall. Before we were observers. Now we’re outstretching a hand, participating in the global rescue effort. We’re made to question the allegiances of the returning character Ilsa Faust (Rebecca Ferguson), a member of the UK’s MI6 program. A big mustachioed brute named August Walker (Henry Cavill) follows the IMF team as ordered by CIA Director Erica Sloane (Angela Bassett). A bombshell arms dealer called the White Widow (Vanessa Kirby) enters the plot. Ethan reteams with Luther Stickell (Ving Rhames) and Benji Dunn (Simon Pegg). Fallout is a very convoluted film, and it requires a little knowledge about its immediate predecessors to make complete sense of things, but even then it’s hardly confusing. The entire franchise revolves around double-crosses, red herrings, and our willingness to trust the characters even when we’re out of the loop. Fallout isn’t a film for skeptics with open-ended questions. How did they do that? Why were they prepared for this? What kind of logic does this abide by? Don’t bother with this kind of thought process and instead just enjoy what you’re watching. The final product is practically unparalleled. Similar movies have been this popping up around the world for some time. The Tony Jaa led Ong Bak franchise seriously channels the practicality of the great Jackie Chan and Jet Li. However, the latest mission with the IMF team feels empirically similar to The Raid, specifically the 2011 follow-up titled The Raid: Redemption. Like that film, Fallout blends unthinkable action and choreography with a story that really matters. It’s darker, denser, more grandiose, and most importantly more practical. I detest the Fast and Furious series because the stories make no sense and they exploit “family” as a means of blowing more things up and racing faster cars. 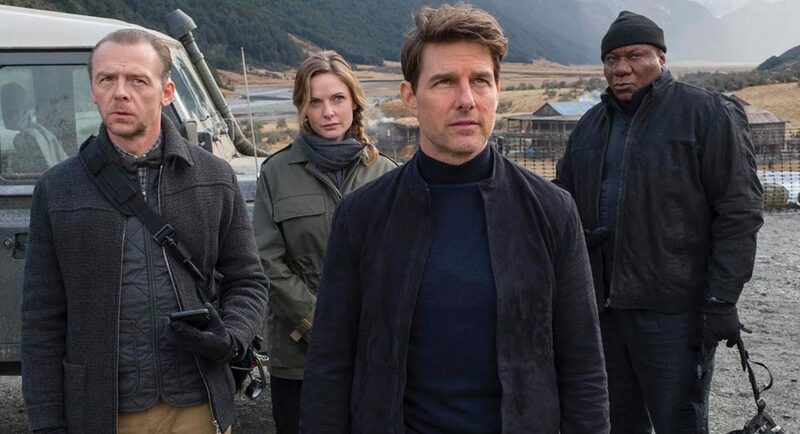 F&F caters to audience’s wants while Mission: Impossible challenges their needs with taste, timing, and a distinct flair for the dramatic. One scene in particular, channeling The Dark Knight as it substitutes the loud on-screen action for a melancholic musical score, shows that this movie wants to stimulate our brains and not just the eyes. 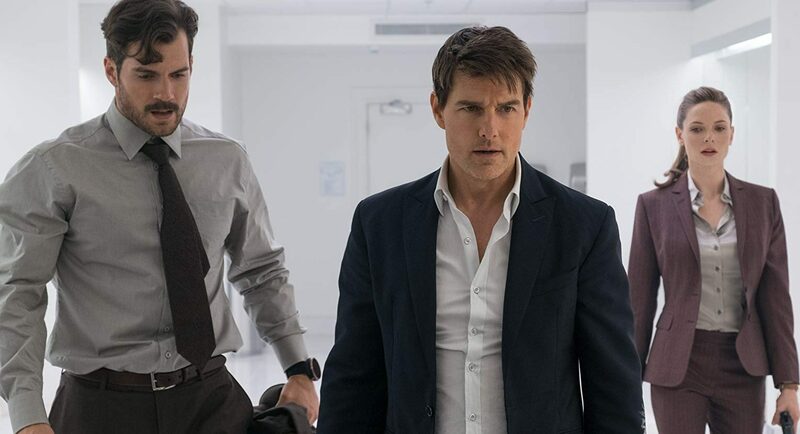 I’ve said it before and I’ll say it again: you don’t have to like Tom Cruise to appreciate his tireless progression of the art form or his ability to entertain at the ultimate cost. While Dwayne Johnson might be the literal biggest action star in the world, there is no man more committed to entertaining his audience than Cruise, defying age at a baffling 56 years old. He performs a HALO jump (which took a recorded 100+ attempts to capture). He fights on the face of a real cliff. A big bathroom brawl feels just as bruising as its looks. He leaps from one building to the next (breaking his ankle in the process). That helicopter is really being flown by him. 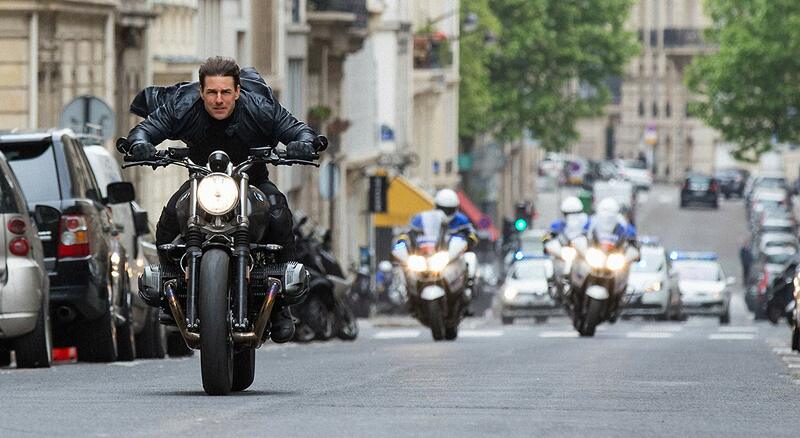 Most beautifully, Cruise carefully weaves his way through Paris on a motorcycle sans helmet, puncturing the oncoming traffic as he circles around the great Arc de Triomphe, itself an intentional metaphor for a man on the run searching for safe passage. Mission: Impossible lets our star skip cruise control and affords him the opportunity to operate on all cylinders. We get his comedic wit, his fierce dedication, his stoic presence, and in Fallout a few ounces of vulnerability. This is one of the fullest performances the genre has ever seen. It’s all a team effort, though. 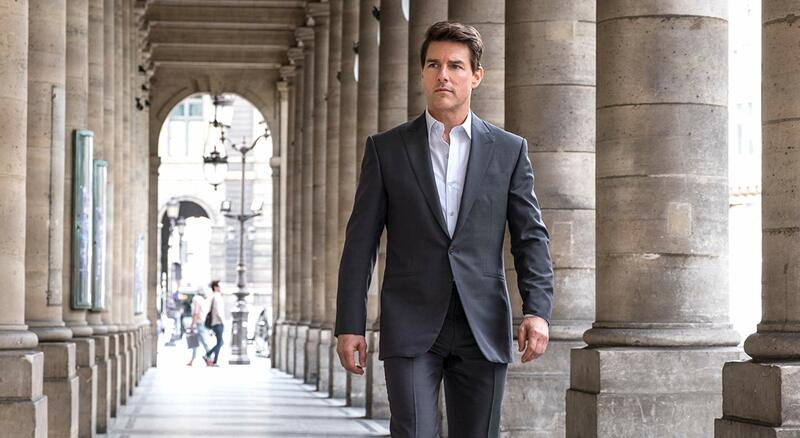 Christopher McQuarrie started shooting this epic with a 33 page long script. That essentially adds up to most of the first act. So they kept building, laying the tracks just before they had to cross them, and what ensues is an action-packed film for the ages. But then you add in the exquisite photography by Rob Hardy (it seems improbable that he can be credited for this and Annihilation in the same calendar year), the resonating and dark score by Lorne Balfe (which if John Williams can earn an Oscar nomination for every regurgitated Star Wars theme, Balfe should for his re-imagining here), and the intuitive direction from McQ as he channeled the greats of the silent era. Mission: Impossible – Fallout left me thinking of JFK’s famous quote, rephrasing it through Cruise’s perception. “And so, my fellow Americans: ask not what your audience can do for you – ask what you can do for the audience.” For Tom Cruise, the answer is anything and everything.